Never run out of hot water again with a tankless water heater! 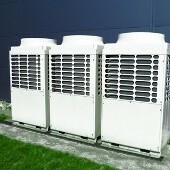 These energy-efficient units out-deliver in efficiency, safety, and convenience. You’ll save money, too. Let us put money in your pocket by installing an energy-efficient air conditioner or heat pump. You’ll get the federal tax credit and save on monthly utility bills. Our premier heating and cooling systems reduce allergens and other contaminates in the water. Have a warm and cozy winter with a new gas fireplace. Our installations are guaranteed and we’ll find smart heating solutions to fit your needs. Our goal is to put a package together to fit your needs and best suit your home. With our top-brand appliances and expert repairs and installations, your comfort is guaranteed. Contact us for the furnace installation or other home heating and cooling service you need.